Today has been crap, I feel defeated and I'm definitely not loving life but it was so nice to receive a message from Lady Sapphire letting me know that she had nominated me for a Liebster Award, thank you Lady S for giving me something else to concentrate on today! Before I get started on the questions don't forget to head over to Lady Sapphire Blog and give her some love! Without further ado let's answer some questions! How did your love for beauty begin? I was one of those people who was struggling to figure out what I wanted to do with the rest of my life and one day it just clicked, I had been a fan of SPFX makeup for a loooong time and I thought 'why don't I just do makeup!?!' It made sense and when I started studying formally I knew I was on the right path. Why did you decide to start your own blog? I needed a new hobby! I didn't care if it wasn't even read, I just needed something to keep me busy. What product can you simply not get enough of right now? Anything French, even if it's an epic fail of a product I want to try them. Also weird products, things that have a funny shape, different application or crazy packaging. Japanese and Korean products are great for this stuff! Favourite lippy? Don't have one, I don't wear a lot myself, I'm more of a balm girl. My favourite balm would have to be La Roche-Posay Ceralip when I can get my hands on it or Elizabeth Arden 8hour balm. As a makeup artist using lipstick on clients my favourites would probably be Maybelline Moisture Extreme (discontinued, what the hell Maybelline!?! ), Innoxa Lovely Lips and MAC when I need a weird colour. Favourite fragrance? It would be a draw between Escada Absolutely Me or Taj Sunset, since Taj Sunset has been discontinued then Absolutely Me probably wins this one. You only have 5 minutes to get ready!!! What do you do? Make sure my face is clean and moisturised. Add a little concealer under my eyes, whack on some mascara and lip balm and go! Whats the best advice that you could pass onto another beauty lover? Try not to spend all your money at once. You can paint your nails only one shade, what shade do you reach for? Black. What something you do that makes you seriously happy. Go on a holiday! Get away from everything, leave all my worries behind and do exactly as I please when I'm away. Now I'm supposed to nominate 10 bloggers with under 200 followers, this is where I have trouble! Hui from http://huitheyogini.blogspot.com.au - Now I know Hui doesn't write a beauty blog but she does promote health and wellness and I think that plays a big part in our outer beauty! Hui I hope you won't mind taking part! Ok so it's not 10 but I really struggled with this, I'm still discovering blogs myself and have most likely nominated people who have already done this so I'll ask for your forgiveness in advance! Tell me your biggest beauty blunder? What annoys you most about the Australian beauty industry? Did you ever destroy any of your mums makeup as a child? If so, what was it? What is the one beauty product you struggle to apply? What is the weirdest beauty product you have ever seen? What is the best beauty advice you have ever received? You have an unlimited amount of money to buy just one beauty product, what would you choose? What is your least favourite part of your beauty routine? You are being shipped off to Mars but can only take 2 makeup or skincare products. What will they be? 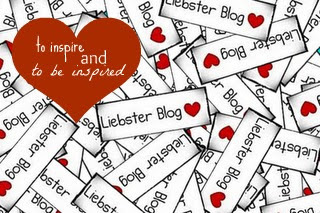 5 comments on "The Liebster Awards." Hi Hailey!! Hope your feeling better. I loved reading your answers. I think black is a very glamorous shade of polish and thats fantastic and wise advice to pass onto other beauty lovers....but its hard not too lol. Thanks for the nomination. We're both very flattered! I'm always interested in Japanese or Korean cosmetics as well. They come up with the funkiest product or packaging.